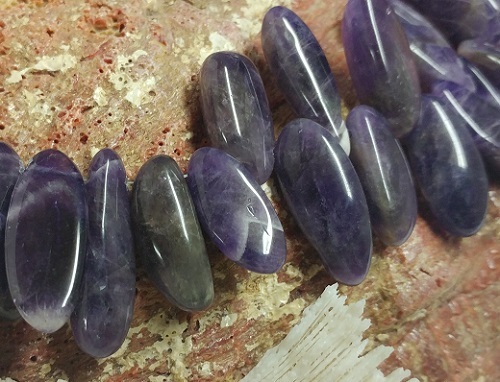 Associated with the Brow and the Crown Chakras - Stability, Peace, Balance, & Courage. 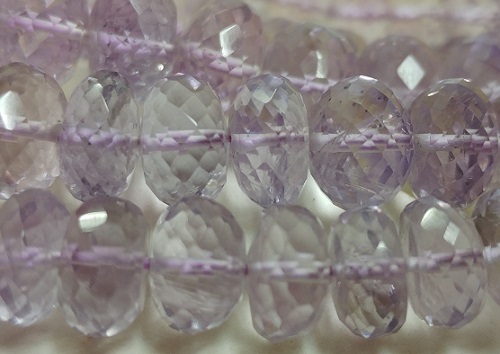 *We also have various strands of amethyst on our Discount Wall In-Store. 10mm coin, 4mm round, 8mm round, 10mm round to name a few - contact us for more info. 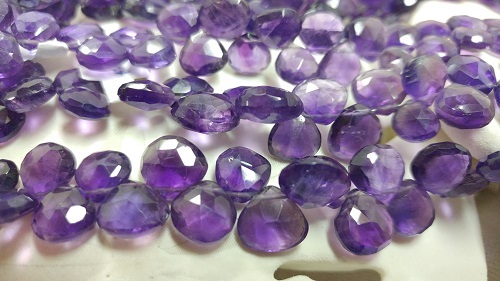 Description: Irregular smooth top-drilled tumbled Amethyst. 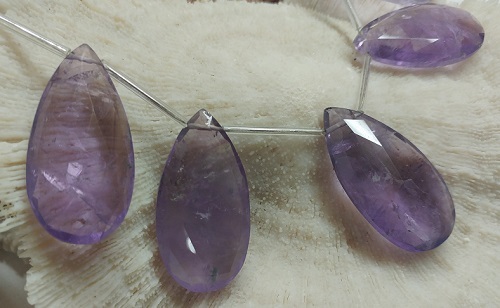 Description: 25x35mm faceted top drilled tear drop Amethyst.